I could write lots of good words and only about Tom Rowlands & Ed Simons known as The Chemical Brothers regarding their value, talent and offer within the scene over the years. The successful duet from UK have achieved hitting NO.1 spot on UK's Official Album Charts on 6 of their 8 albums in total. Namely 'Dig Your Own Hole (1997)', 'Surrender (1999)', 'Come With Us (2002)', 'Push The Button (2004)' and 'We Are The Night (2007)' and the most recent 'Born In The Echoes (2015)'. 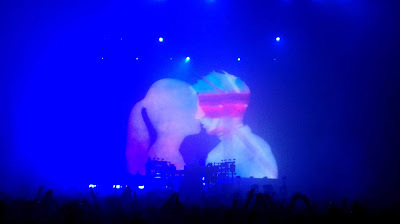 The Chemical Brothers is the only dance act with so many no.1 chart topping albums followed by The Prodigy, who have 5 No.1. and time will tell if the record will be broken as in a few months from now The Prodigy release their new album called 'No Tourists' . 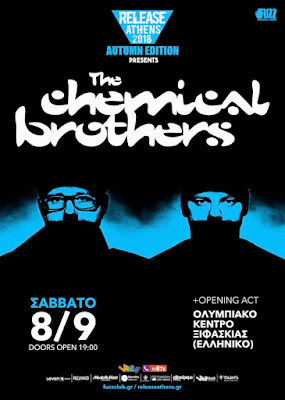 Into the point of this blogpost, I'd like to mention that The Chemical Brothers have already played live in Athens/Greece (my hometown) twice ago (in 2002 and 2005) and this year they've come back in Athens after 13 years, more evolved and stronger themselves including also new tracks (e.g. 'Free Yourself' or 'Mad As Hell') off a brand new album coming out next year! 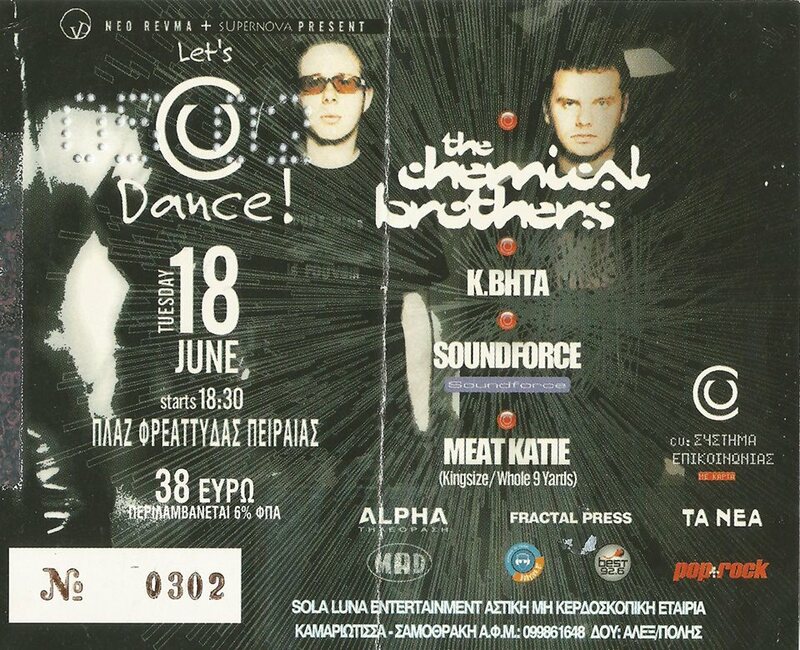 All started on 21st June (World Music Day) when the aspiring and very promising Release Athens Festival have announced The Chemical Brothers Live show in Athens, taking place in the indoor Olympic Fencing Centre which eventually was a very good place for such an immense visual live show of quality electronic music! Just for the record, the opening supporting acts were Greek based Pene VS Lukas the 3rd followed by British DJ James Holroyd and when the local time hit 23:00 the Chems got the stage starting with 'Tomorrow Never Knows' a proper cover on Beatles 1966 song and classic opener of their sets. Then the show has kicked off with their hit 'Go' from the last album 'Born In The Echoes' and crowd started moving. 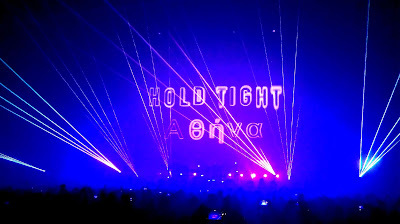 Noteworthy the fact that I was feeling all around a human breath of 90s rave air, innocence and freedom, furthermore everyone obeyed by the rhythms of 'Free Yourself' one of their brand new tunes and probably the next release according to Ed Simons interview. Good to see also 40ish people with happiness in their eyes as well as some of them carrying their children too. 'The future' was ready to absorb the real education of electronic music. Of course I went bananas when the boys dropped the 'Block Rockin' Beats'. An anthemic classic and first ever tune introducing me the Madchester duet back in mid-90s. 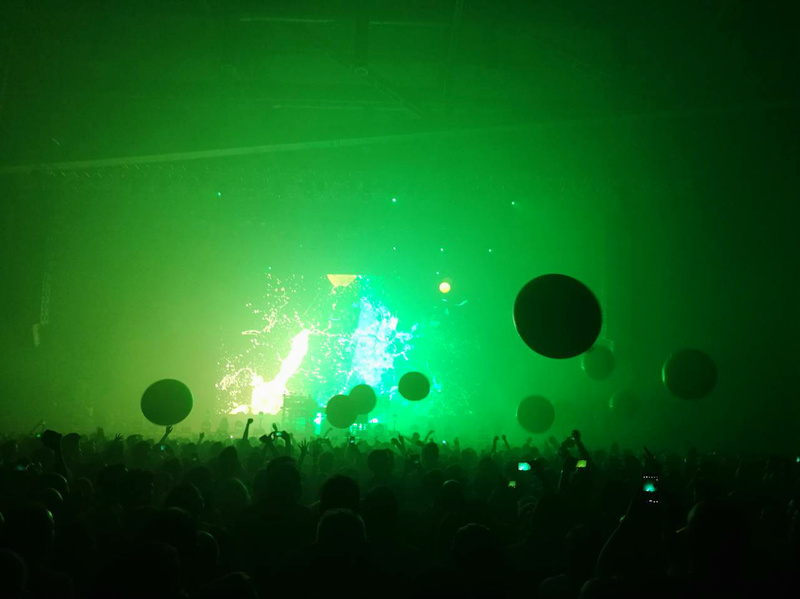 Then I gotta say the very euphoric version of 'Saturate' has lifted us up to the sky alongside many baloons. In addition, 'Electrobank' was a good hidden gem into their sets mashed up mentally and slowed down to an aggressive hiphop addictive tone that blew us away! I'm inclined to say that we couldn't get a better finale than the '97 chaotic 'The Private Psychedelic Reel' by the amazing visuals (once again) and then closing with Tom jammin just before the boys say a big goodbye and Adam Smith & Marcus Lyall put their last visual signature with the message 'Love Is All'. Splendid! A gig that I will never forget (first time I saw them), a gig that everyone should live once in a lifetime. 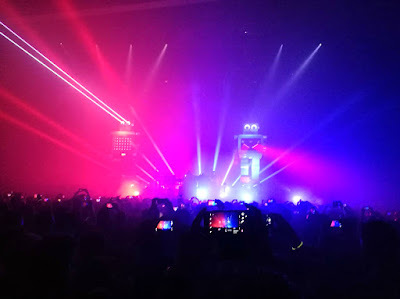 It's priviledge for the oldskool and new generation of fans having still acts like themselves or The Prodigy, Orbital, Leftfield and I shall mention also Empirion (as all of them are still active with new stuff). 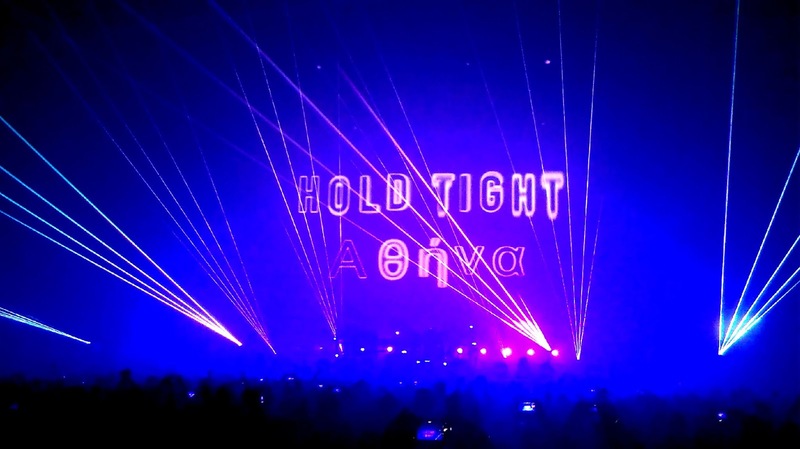 It's a bridge of love between present and 90's, and The Chemical Brothers is a proud act of electronic wisdom and hunger for quality electronic music. Either Techno or Electro, the bros gonna work it out on their new album. They know the real recipe of success! They were born in the echoes!